The puma (Felis concolor) has the most extensive range of any terrestrial mammal in the Western Hemisphere, covering over 100° latitude. Food habits of different puma subspecies vary with latitude. Subspecies from temperate habitats generally eat larger prey and specialize on a smaller number of prey taxa, whereas, in tropical habitats, they prey on smaller, more varied prey. In North America, ungulates (primarily deer) represented 68% of the puma's diet by frequency of occurrence. Mean weight of vertebrate prey (MWVP) was positively correlated (r=0.875) with puma body weight and inversely correlated (r=-0.836) with food niche breadth in all America. In general, MWVP was lower in areas closer to the Equator. 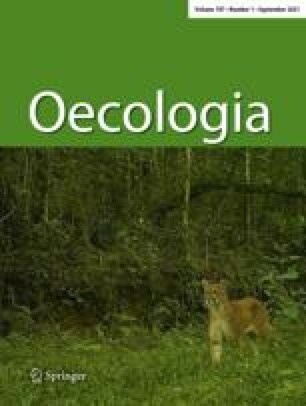 Patterns of puma prey selection are probably influenced by prey availability and vulnerability, habitat characteristics, and potential competition from the jaguar (Panthera onca).